Meanwhile, in small bowl, stir together strawberries and sugar; set aside. In another small bowl, stir yogurt and pudding until blended. Refrigerate until serving time. Remove biscuits from oven. Cool 15 minutes. 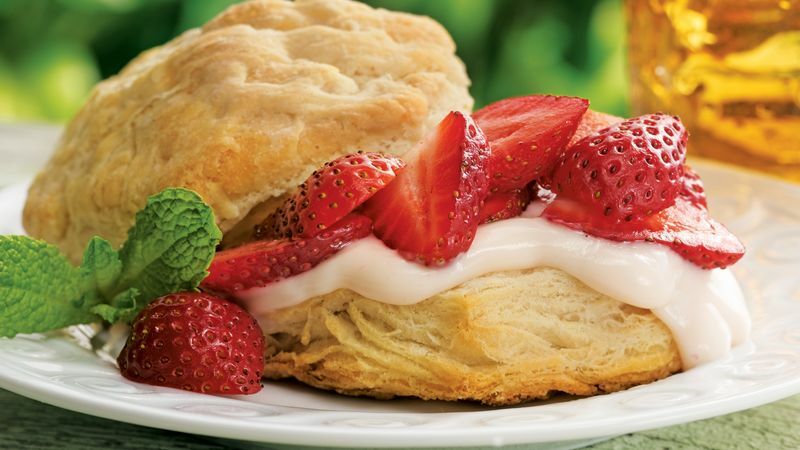 Split biscuits; fill and top with yogurt mixture and strawberries. If desired, garnish with additional strawberries. Add a little zing to the dessert with a sprinkle of grated orange peel on the topping.